Rick Black and Jake McShane are former law school classmates with very different approaches to life and the law. Rick is a brilliant, ultracompetitive trial lawyer who believes winning is everything. He openly mocks the legal system, claiming that a lawyer who is a great storyteller can fool a jury every time. He is determined to exploit that weakness in the American legal system, regardless of the havoc that wreaks on innocent lives. When an upstanding pillar of the community is victimized by Rick’s unscrupulous tactics, Jake is determined to bring his former classmate to justice—if he can do so without sacrificing his own integrity. Their approaches, skills and convictions are put to the test when they clash as opposing counsel in a high-stakes class action lawsuit. Dirty tricks, intimidation, intrigue—even homicide—become part of the backdrop as the litigation unfolds. 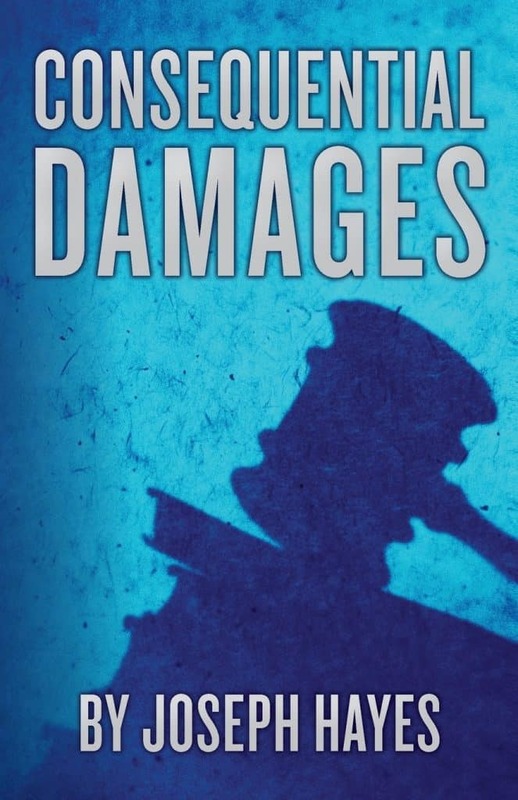 Consequential Damages is a compelling legal drama full of twists, turns and suspense. And, it will make you think! Jake shivered as the bitter November wind lashed into him. At some other point in his life, he might have felt different about this place. It was a setting unlike any other, where nature, history and spirituality were prominently on display, woven into one seamless and harmonious fabric. It was a place revealing the strongest connection between humanity and nature, where man truly became one with the earth. It was a place where restless souls found themselves, drawn by its promise of solace and serenity. However, to Jake McShane, at this moment, it was none of those things. It was just a cemetery. It was Sunday, late afternoon, but darker than it should have been, as ominous storm clouds hung low in the sky. Large raindrops began to fall, announcing their presence with loud splats. Jake had neither overcoat nor umbrella. He stood there motionless, staring down at the grave, as if in a trance. The intermittent jabbing of the icy raindrops quickly became a downpour, yet he remained transfixed, quietly absorbing nature’s blows. Perhaps his physical discomfort would numb the agony he felt inside. Perhaps it would sharpen his senses and draw him out of the daze that had possessed him for weeks, and bring him some clarity of thought and understanding. He needed that clarity. The trial was just one week away. He had twenty-eight months of his life invested in this case and he knew it cold, yet he was plagued by a crippling combination of indecision and self-doubt. Could he possibly summon up the passion, intensity and fortitude that a trial like this would require? If he didn’t try the case, his client would almost certainly lose, and lose badly. The verdict could be hundreds of millions of dollars, and the company could be driven into bankruptcy. But it wasn’t his company or his money, so why should he care? This was not what he had bargained for when he enrolled in law school. He had learned the hard way that high-stakes litigation was not a gentlemen’s game, where honor and integrity mattered and all players respected the rules. It was all-out war, which resulted in serious casualties, and his exposure to it had cost him dearly. It had rocked his faith in the legal system to its very core, along with his faith in human nature and in himself. And it had brought him here, to this cemetery and this grave. He needed to think and to make a decision, and had come to this spot hoping to find resolution, yet as he stood there gazing upon the grave marker, all of the anguish he had been trying so hard to tuck away came rushing back. Tears streamed down his face, and he wept quietly for a long time. How long, he had no idea. He had no sense of time and no sense of the world around him. He felt completely alone, separated from the rest of the universe by an invisible wall of grief. As the rain slowed to gentle drizzle, a burst of thunder jolted him and caused him to look around. Jake felt his awareness returning, and with it, a growing sensation that something was amiss. It began as a vague feeling of uneasiness and slowly evolved into a conscious thought—clear, lucid and unmistakable: Something was out of place here. He looked around nervously, and saw nothing unusual. No one was in sight, which was not surprising, given the rain. He moved toward his car, carefully surveying the surrounding area, absolutely convinced that trouble was lurking nearby. Still, he saw nothing. He reached his car, which was parked on the narrow blacktop road that wound through the cemetery. Then he saw it. Although not visible from the grave, from the roadway he could see the gaudy white Cadillac with the gold trim and maroon roof, parked just across the street from the cemetery’s entrance. He’d seen that car before, outside the courthouse after jury selection. He recalled being unnerved at the time because the driver—a huge, muscular black man dressed like a gangbanger—seemed to be watching him. The pimped-out vehicle was clearly out of place in this well-to-do white-bread suburb. street as cars cruised by between them. There was something familiar about the face. He had thought so at the courthouse and was even more convinced now, but he couldn’t place it. Jake waited impatiently for a break in traffic. The dark glass of the driver’s window began rising silently. “Wait! Who are you? Why are you following me?” Jake yelled as traffic cleared and he began limping rapidly across the street. Tires screeched, and the Cadillac sped away, leaving Jake standing in the middle of the road, bewildered and exasperated.